A seamless blend of complexity with simplicity, flatness with volume and curved lines contrasted against straight edges, the hanbok beautifully conveys the Korean desire to be at one with nature and maintain balance in life. Modern takes on the dress have recently become incredibly popular in fashion circles all the world over, while Korean designer Leesle is spearheading the hanbok revival. Read on to learn more and find out how you can get a special discount for your own hanbok. Worn daily up until about a century ago, the country’s national dress has roots that trace back to as early as the Goguryeo Kingdom (37 BCE- 668 CE), when its fundamental designs were first established. The hanbok has, for the most part, remained unchanged aesthetically since then but in the 19th century, it fell out of fashion when it was replaced by new imports, such as the Western suit and dress. Eventually, hanbok was reserved for only special occasions, such as weddings and holidays. Until recently, that is. As is usually the case with fashion, old has become new again, and younger generations of Koreans are looking to the past for inspiration in a world that seems to be headed to the future just a bit too quickly. 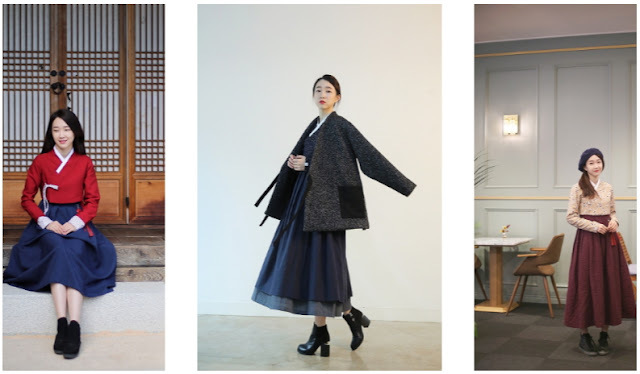 Enter the contemporary hanbok, apparel that marries classic motifs with wearable designs that render traditional patterns and structures in simple materials such as cotton and linen. These modern reinterpretations of the hanbok have made a splash in the fashion world and have been spotted around the globe, from the Champs Élysées to the catwalks of New York to the pages of some of the biggest magazines in the industry. Perhaps no specialty designer is more passionate about reviving the hanbok than Leesle Hwang, the founder and CEO of casual hanbok brand Leesle. It was around a decade ago when she was a freshman in college that Leesle designed a hanbok for a cosplay event. The outfit was a hit with event attendees and sold quickly when she put it up for sale. Realizing that there was a growing interest in hanbok, she founded an online shopping mall. Since then, the humble mall has grown into a wildly popular brand that has a following not only in Korea, but around the world. Still in her 20s, Leesle continues to make a name for herself, and was recently even featured in Vogue. I first found Leesle by chance on Instagram. Her beautiful designs stopped me in my tracks and I knew I had to get my hands on one of her hanboks. What could be a better keepsake of my time in Korea? the brand’s designs add a very young, modern sensibility to South Korea’s national dress. The aesthetics of her dresses, tops, pants and accessories for both men and women maintain the traditional motifs of the classic dress, but also make hanbok more accessible through an interesting play with contemporary patterns and trendy colors. Making use of zippers and other modern elements, Leesle’s clothes are wearable, not to mention machine washable. Hems are raised and skirts flare less, highlighting the feminine form but also maintaining the conservativ nature of traditional designs. 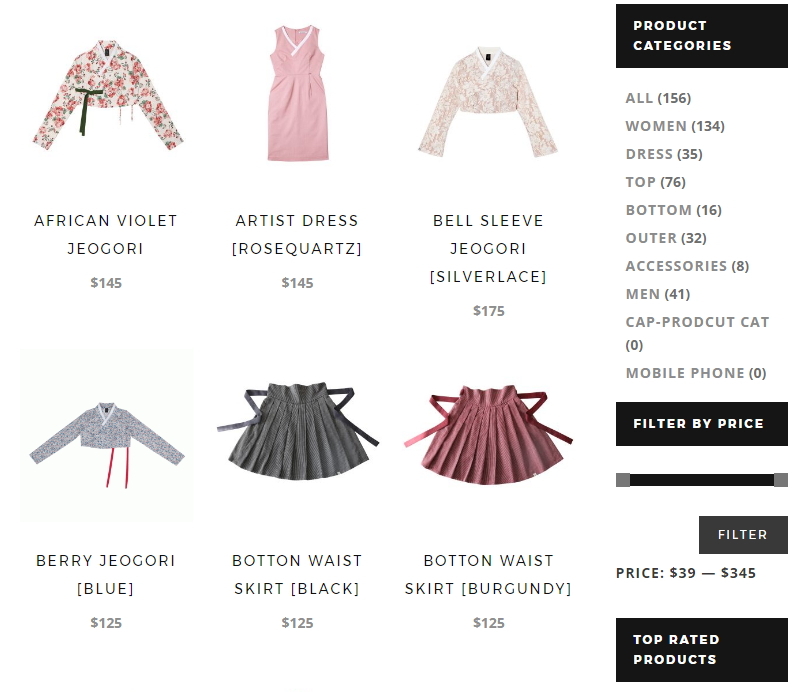 The layout of the website made it easy to navigate and unlike many Korean online shops, everything - including size dimensions – is in English. The worldwide free shipping (over $99 USD) was also an added bonus. With spring ahead, I selected the ‘Everside Miinodo Dress’ in Apricot and the Leesle Sharon Jeogori. I was absolutely delighted when my order arrived. The clothes were individually wrapped in plastic and they even took the time to include a card with my name printed in Korean. So cute! The materials were soft and of the highest quality. The items also looked exactly as they did in the pictures, and fit me perfectly. In addition to the sheer beauty of the clothes, I also really love that I can either wear them together for the complete hanbok look, or mix and match them with other items in my closet to create a more personalized style. In fact, that’s just what I did when my friend and I spent an afternoon exploring Seoul one day last month. Pairing the dress with a denim jacket made for a nice casual look, while mixing the jeogori jacket with a basic skirt created a vintage style. And let me just say... I have never in all my years in Korea received so many compliments from complete strangers. Korean grandmothers, in particular, were eager to ask me about my hanbok and some even requested that I take pictures with them. The young and old alike were really surprised to see such a unique take on their national dress and it was a really special experience to be wearing such a beautiful item that balanced the old with the new, while incorporating Korea’s naturalistic beauty, ideals and art forms. I know what you’re thinking—“How can I get one of these beautiful designs for myself! ?” Well, you are in luck, hanbok lover! In celebration of their global site launch, Leesle is offering Seoul Searching readers a 10% discount on their total purchase! Simply head over to the Leesle online shop and when viewing your shopping cart, enter the coupon code seoulsearching and click "Apply Coupon" before proceeding to checkout. The offer ends June 30, so be sure to take advantage of the discount while you can! Special thanks to my dear friend Danielle Potgieter for taking these lovely photos and to Bonum 1957 for letting us use their gorgeous hanok as a shooting location. Disclaimer: Although Leesle provided the items mentioned above free of charge in return for a post, the opinions are, of course, my own. So great! The country’s national dress has roots that trace back to as early as the Goguryeo Kingdom!